The Third Semitic Migration--Achæan Conquest of Greece--Fall of Crete--Tribes of Raiders--European Settlers in Asia Minor--The Muski overthrow the Hittites--Sea Raids on Egypt--The Homeric Age--Israelites and Philistines in Palestine--Culture of Philistines--Nebuchadrezzar I of Babylonia--Wars against Elamites and Hittites--Conquests in Mesopotamia and Syria--Assyrians and Babylonians at War--Tiglath-pileser I of Assyria--His Sweeping Conquests--Muski Power broken--Big-game Hunting in Mesopotamia--Slaying of a Sea Monster--Decline of Assyria and Babylonia--Revival of Hittite Civilization--An Important Period in History--Philistines as Overlords of Hebrews--Kingdom of David and Saul--Solomon's Relations with Egypt and Phoenicia--Sea Trade with India--Aramæan Conquests--The Chaldæans--Egyptian King plunders Judah and Israel--Historical Importance of Race Movements. GREAT changes were taking place in the ancient world during the period in which Assyria rose into prominence and suddenly suffered decline. These were primarily due to widespread migrations of pastoral peoples from the steppe lands of Asia and Europe, and the resulting displacement of settled tribes. The military operations of the great Powers were also a disturbing factor, for they not only propelled fresh movements beyond their spheres of influence, but caused the petty States to combine against a common enemy and foster ambitions to achieve conquests on a large scale. progress. The Aramæan folk-waves had already begun to pour in increasing volume into Syria from Arabia, and in Europe the pastoral fighting folk from the mountains were establishing themselves along the south-eastern coast and crossing the Hellespont to overrun the land of the Hittites. These race movements were destined to exercise considerable influence in shaping the history of the ancient world. The Aramæan, or Third Semitic migration, in time swamped various decaying States. Despite the successive efforts of the great Powers to hold it in check, it ultimately submerged the whole of Syria and part of Mesopotamia. Aramæan speech then came into common use among the mingled peoples over a wide area, and was not displaced until the time of the Fourth Semitic or Moslem migration from Arabia, which began in the seventh century of the Christian era, and swept northward through Syria to Asia Minor, eastward across Mesopotamia into Persia and India, and westward through Egypt along the north African coast to Morocco, and then into Spain. [paragraph continues] "fair in comparison with the native (Pelasgian-Mediterranean) stock, but not necessarily blonde". 1 The earliest Achæans were rude, uncultured barbarians, but the last wave came from some unknown centre of civilization, and probably used iron as well as bronze weapons. The old Cretans were known to the Egyptians as the "Keftiu", and traded on the Mediterranean and the Black Sea. It is significant to find, however, that no mention is made of them in the inscriptions of the Pharaohs after the reign of Amenhotep III. In their place appear the Shardana, the Mykenæan people who gave their name to Sardinia, the Danauna, believed to be identical with the Danaoi of Homer, the Akhaivasha, perhaps the Achæans, and the Tursha and Shakalsha, who may have been of the same stock as the piratical Lycians. When Rameses II fought his famous battle at Kadesh the Hittite king included among his allies the Aramæans from Arabia, and other mercenaries like the Dardanui and Masa, who represented the Thraco-Phrygian peoples who had overrun the Balkans, occupied Thrace and Macedonia, and crossed into Asia Minor. In time the Hittite confederacy was broken up by the migrating Europeans, and their dominant tribe, the Muski 2--the Moschoi of the Greeks and the Meshech of the Old Testament--came into conflict with the Assyrians. The Muski were fore-runners of the Phrygians, and were probably of allied stock. as were securing a footing in Asia Minor. In Syria Meneptah fought with the Israelites, who apparently had begun their conquest of Canaan during his reign. Before the Kassite Dynasty had come to an end, Rameses III of Egypt (1198--1167 B.C.) freed his country from the perils of a great invasion of Europeans by land and sea. 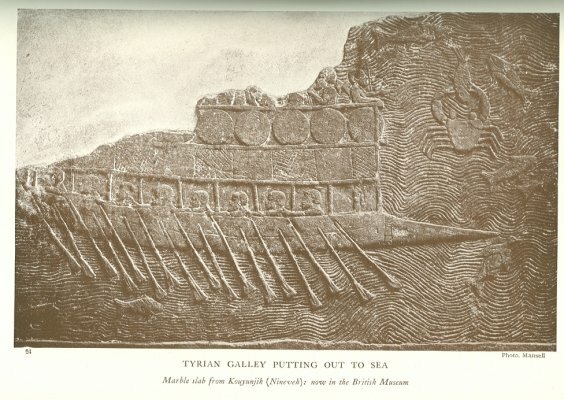 He scattered a fleet on the Delta coast, and then arrested the progress of a strong force which was pressing southward through Phoenicia towards the Egyptian frontier. These events occurred at the beginning of the Homeric Age, and were followed by the siege of Troy, which, according to the Greeks, began about 1194 B.C. When the Kassite Dynasty of Babylonia was extinguished, about 1140 B.C., the Amorites were being displaced in Palestine by the Philistines and the Israelitish tribes; the Aramæans were extending their conquests in Syria and Mesopotamia; the Muski were the overlords of the Hittites; Assyrian power was being revived at the beginning of the second period of the Old Empire; and Egypt was governed by a weakly king, Rameses VIII, a puppet in the hands of the priesthood, who was unable to protect the rich tombs of the Eighteenth Dynasty Pharaohs against the bands of professional robbers who were plundering them. A new dynasty--the Dynasty of Pashe--had arisen at the ancient Sumerian city of Isin. Its early kings were contemporary with some of the last Kassite monarchs, and they engaged in conflicts with the Elamites, who were encroaching steadily upon Babylonian territory, and were ultimately able to seize the province of Namar, famous for its horses, which was situated to the east of Akkad. The Assyrians, under Ashur-dan I, were not only reconquering lost territory, but invading Babylonia and carrying off rich plunder. Ashur-dan inflicted a crushing defeat upon the second-last Kassite ruler. signifies: "May the god Nebo protect my boundary". His first duty was to drive the Elamites from the land, and win back from them the statue of Merodach which they had carried off from E-sagila. At first he suffered a reverse, but although the season was midsummer, and the heat overpowering, he persisted in his campaign. The Elamites were forced to retreat, and following up their main force he inflicted upon them a shattering defeat on the banks of the Ula, a tributary of the Tigris. He then invaded Elam and returned with rich booty. The province of Namar was recovered, and its governor, Ritti Merodach, who was Nebuchadrezzar's battle companion, was restored to his family possessions and exempted from taxation. A second raid to Elam resulted in the recovery of the statue of Merodach. The Kassite and Lullume mountaineers also received attention, and were taught to respect the power of the new monarch. Having freed his country from the yoke of the Elamites, and driven the Assyrians over the frontier, Nebuchadrezzar came into conflict with the Hittites, who appear to have overrun Mesopotamia. Probably the invaders were operating in conjunction with the Muski, who were extending their sway over part of northern Assyria. They were not content with securing control of the trade route, but endeavoured also to establish themselves permanently in Babylon, the commercial metropolis, which they besieged and captured. This happened in the third year of Nebuchadrezzar, when he was still reigning at Isin. Assembling a strong force, he hastened northward and defeated the Hittites, and apparently followed up his victory. Probably it was at this time that he conquered the "West Land" (the land of the Amorites) and penetrated to the Mediterranean coast. Egyptian power had been long extinguished in that region. The possession of Mesopotamia was a signal triumph for Babylonia. As was inevitable, however, it brought Nebuchadrezzar into conflict some years later with the Assyrian king, Ashur-resh-ishi I, grandson of Ashur-dan, and father of the famous Tiglath-pileser I. The northern monarch had engaged himself in subduing the Lullume and Akhlami hill tribes in the south-east, whose territory had been conquered by Nebuchadrezzar. Thereafter he crossed the Babylonian frontier. Nebuchadrezzar drove him back and then laid siege to the border fortress of Zanki, but the Assyrian king conducted a sudden and successful reconnaissance in force which rendered perilous the position of the attacking force. By setting fire to his siege train the Babylonian war lord was able, however, to retreat in good order. Some time later Nebuchadrezzar dispatched another army northward, but it suffered a serious defeat, and its general, Karashtu, fell into the hands of the enemy. Nebuchadrezzar reigned less than twenty years, and appears to have secured the allegiance of the nobility by restoring the feudal system which had been abolished by the Kassites. He boasted that he was "the sun of his country, who restored ancient landmarks and boundaries", and promoted the worship of Ishtar, the ancient goddess of the people. By restoring the image of Merodach he secured the support of Babylon, to which city he transferred his Court. Nebuchadrezzar was succeeded by his son Ellil-nadin-apil, who reigned a few years; but little or nothing is known regarding him. His grandson, Marduk-nadin-akhe, came into conflict with Tiglath-pileser I of Assyria, and suffered serious reverses, from the effects of which his country did not recover for over a century. significantly: "The feet of the enemy I kept from my country". When he came to the throne, northern Assyria was menaced by the Muski and their allies, the Hittites and the Shubari of old Mitanni. The Kashiari hill tribes to the north of Nineveh, whom Shalmaneser I subdued, had half a century before thrown off the yoke of Assyria, and their kings were apparently vassals of the Muski. Tiglath-pileser first invaded Mitanni, where he routed a combined force of Shubari hillmen and Hittites. Thereafter a great army of the Muski and their allies pressed southward with purpose to deal a shattering blow against the Assyrian power. The very existence of Assyria as a separate power was threatened by this movement. Tiglath-pileser, however, was equal to the occasion. He surprised the invaders among the Kashiari mountains and inflicted a crushing defeat, slaying about 14,000 and capturing 6000 prisoners, who were transported to Asshur. In fact, he wiped the invading army out of existence and possessed himself of all its baggage. Thereafter he captured several cities, and extended his empire beyond the Kashiari hills and into the heart of Mitanni. His second campaign was also directed towards the Mitanni district, which had been invaded during his absence by a force of Hittites, about 4000 strong. The invaders submitted to him as soon as he drew near, and he added them to his standing army. 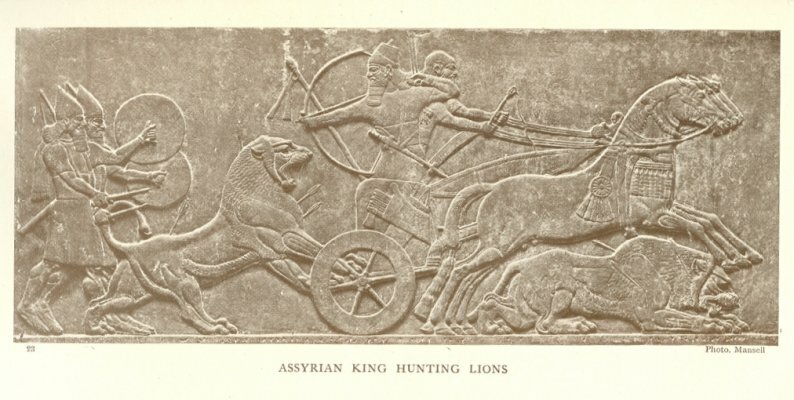 Subsequent operations towards the north restored the pre-eminence of Assyria in the Nairi country, on the shores of Lake Van, in Armenia, where Tiglath-pileser captured no fewer than twenty-three petty kings. These he liberated after they had taken the oath of allegiance and consented to pay annual tribute. themselves of Mitanni, which he had cleared of the Hittites. By a series of forced marches he caught them unawares, scattered them in confusion, and entered Carchemish, which he pillaged. Thereafter his army crossed the Euphrates in boats of skin, and plundered and destroyed six cities round the base of the mountain of Bishru. While operating in this district, Tiglath-pileser engaged in big-game hunting. He recorded: "Ten powerful bull elephants in the land of Haran and on the banks of the Khabour I killed; four elephants alive I took. Their skins, their teeth, with the living elephants, I brought to my city of Asshur." 1 He also claimed to have slain 920 lions, as well as a number of wild oxen, apparently including in his record the "bags" of his officers and men. A later king credited him with having penetrated to the Phœnician coast, where he put to sea and slew a sea monster called the "nakhiru". While at Arvad, the narrative continues, the King of Egypt, who is not named, sent him a hippopotamus (pagutu). This story, however, is of doubtful authenticity. About this time the prestige of Egypt was at so low an ebb that its messengers were subjected to indignities by the Phœnician kings. The conquests of Tiglath-pileser once more raised the Mesopotamian question in Babylonia, whose sphere of influence in that region had been invaded. Marduk-nadin-akhe, the grandson of Nebuchadrezzar I, "arrayed his chariots" against Tiglath-pileser, and in the first conflict achieved some success, but subsequently he was defeated in the land of Akkad. The Assyrian army afterwards captured several cities, including Babylon and Sippar. as the predominant world Power, extending from the land of the Hittites into the heart of Babylonia. Its cities were enriched by the immense quantities of booty captured by its warrior king, while the coffers of state were glutted with the tribute of subject States. Fortifications were renewed, temples were built, and great gifts were lavished on the priesthood. Artists and artisans were kept fully employed restoring the faded splendours of the Old Empire, and everywhere thousands of slaves laboured to make the neglected land prosperous as of old. Canals were repaired and reopened; the earthworks and quay wall of Ashur were strengthened, and its great wall was entirely rebuilt, faced with a rampart of earth, and protected once again by a deep moat. The royal palace was enlarged and redecorated. Meanwhile Babylonia was wasted by civil war and invasions. It was entered more than once by the Aramæans, who pillaged several cities in the north and the south. Then the throne was seized by Adad-aplu-iddina, the grandson of "a nobody", who reigned for about ten years. He was given recognition, however, by the Assyrian king, Ashur-bel-kala, son of Tiglath-pileser I, who married his daughter, and apparently restored to him Sippar and Babylon after receiving a handsome dowry. Ashur-bel-kala died without issue, and was succeeded by his brother, Shamshi-Adad. about Babylon. The names of two or three kings who succeeded Nabu-mukin-apli are unknown. A century and a half after Tiglath-pileser I conquered the north Syrian possessions of the Hittites, the Old Assyrian Empire reached the close of its second and last period. It had suffered gradual decline, under a series of inert and luxury-loving kings, until it was unable to withstand the gradual encroachment on every side of the restless hill tribes, who were ever ready to revolt when the authority of Ashur was not asserted at the point of the sword. After 950 B.C. the Hittites of North Syria, having shaken off the last semblance of Assyrian authority, revived their power, and enjoyed a full century of independence and prosperity. In Cappadocia their kinsmen had freed themselves at an earlier period from the yoke of the Muski, who had suffered so severely at the hands of Tiglath-pileser I. The Hittite buildings and rock sculptures of this period testify to the enduring character of the ancient civilization of the "Hatti". Until the hieroglyphics can be read, however, we must wait patiently for the detailed story of the pre-Phrygian period, which was of great historical importance, because the tide of cultural influence was then flowing at its greatest volume from the old to the new world, where Greece was emerging in virgin splendour out of the ruins of the ancient Mykenæan and Cretan civilizations. Saul was the leader of a revolt against the Philistines in northern Palestine, and became the ruler of the kingdom of Israel. Then David, having liberated Judah from the yoke of the Philistines, succeeded Saul as ruler of Israel, and selected Jerusalem as his capital. He also conquered Edom and Moab, but was unsuccessful in his attempt to subjugate Ammon. The Philistines were then confined to a restricted area on the seacoast, where they fused with the Semites and ultimately suffered loss of identity. Under the famous Solomon the united kingdom of the Hebrews reached its highest splendour and importance among the nations. the Hebrews were strengthened by an alliance with Egypt. For a period of two and a half centuries no Egyptian army had crossed the Delta frontier into Syria. The ancient land of the Pharaohs had been overshadowed meantime by a cloud of anarchy, and piratical and robber bands settled freely on its coast line. At length a Libyan general named Sheshonk (Shishak) seized the throne from the Tanite Dynasty. He was the Pharaoh with whom Solomon "made affinity", 1 and from whom he received the city of Gezer, which an Egyptian army had captured. 2 Solomon had previously married a daughter of Sheshonk's. Phoenicia was also flourishing. Freed from Egyptian, Hittite, and Assyrian interference, Tyre and Sidon attained to a high degree of power as independent city States. During the reigns of David and Solomon, Tyre was the predominant Phœnician power. Its kings, Abibaal and his son Hiram, had become "Kings of the Sidonians", and are believed to have extended their sway over part of Cyprus. The relations between the Hebrews and the Phœnicians were of a cordial character, indeed the two powers became allies. Marble slab from Kouyunjik (Nineveh): now in the British Museum. thou that they hew me cedar trees out of Lebanon; and my servants shall be with thy servants: and unto thee will I give hire for thy servants according to all that thou shalt appoint: for thou knowest that there is not among us any that can skill to hew timber like unto the Sidonians. And Hiram sent to Solomon, saying, I have considered the things which thou sentest to me for: and I will do all thy desire concerning timber of cedar, and concerning timber of fir. My servants shall bring them down from Lebanon unto the sea: and I will convey them by sea in floats unto the place that thou shalt appoint me, and will cause them to be discharged there, and thou shalt receive them: and thou shalt accomplish my desire, in giving food for my household. So Hiram gave Solomon cedar trees and fir trees according to all his desire. The Aramæans of the Third Semitic migration were not slow to take advantage of the weakness of Assyria and Babylon. They overran the whole of Syria, and entered into the possession of Mesopotamia, thus acquiring full control of the trade routes towards the west. From time to time they ravaged Babylonia from the north to the south. Large numbers of them acquired permanent settlement in that country, like the Amorites of the Second Semitic migration in the pre-Hammurabi Age. In Syria the Aramæans established several petty States, and were beginning to grow powerful at Damascus, an important trading centre, which assumed considerable political importance after the collapse of Assyria's Old Empire. of the Persian Gulf. The ancient Sumerian city of Ur, which dominated a considerable area of steppe land to the west of the Euphrates, was included in the Sealand kingdom, and was consequently referred to in after-time as "Ur of the Chaldees". When Solomon reigned over Judah and Israel, Babylonia was broken up into a number of petty States, as in early Sumerian times. The feudal revival of Nebuchadrezzar I had weakened the central power, with the result that the nominal high kings were less able to resist the inroads of invaders. Military aristocracies of Aramæans, Elamites, and Chaldæans held sway in various parts of the valley, and struggled for supremacy. When Assyria began to assert itself again, it laid claim on Babylonia, ostensibly as the protector of its independence, and the Chaldæans for a time made common cause with the Elamites against it. The future, however, lay with the Chaldæans, who, like the Kassites, became the liberators of the ancient inhabitants. When Assyria was finally extinguished as a world power they revived the ancient glory of Babylonia, and supplanted the Sumerians as the scholars and teachers of Western Asia. The Chaldæans became famous in Syria, and even in Greece, as "the wise men from the east", and were renowned as astrologers. independence, but before the Assyrians moved westward again, Sidon had shaken off the yoke of Tyre and become an independent State. It will be seen from the events outlined in this chapter how greatly the history of the ancient world was affected by the periodic migrations of pastoral folks from the steppe lands. These human tides were irresistible. The direction of their flow might be diverted for a time, but they ultimately overcame every obstacle by sheer persistency and overpowering volume. Great emperors in Assyria and Egypt endeavoured to protect their countries from the "Bedouin peril" by strengthening their frontiers and extending their spheres of influence, but the dammed-up floods of humanity only gathered strength in the interval for the struggle which might be postponed but could not be averted. These migrations, as has been indicated, were due to natural causes. They were propelled by climatic changes which caused a shortage of the food supply, and by the rapid increase of population under peaceful conditions. Once a migration began to flow, it set in motion many currents and cross currents, but all these converged towards the districts which offered the most attractions to mankind. Prosperous and well-governed States were ever in peril of invasion by barbarous peoples. The fruits of civilization tempted them; the reward of conquest was quickly obtained in Babylon and Egypt with their flourishing farms and prosperous cities. Waste land was reclaimed then as now by colonists from centres of civilization; the migrating pastoral folks lacked the initiative and experience necessary to establish new communities in undeveloped districts. Highly civilized men sowed the harvest and the barbarians reaped it. 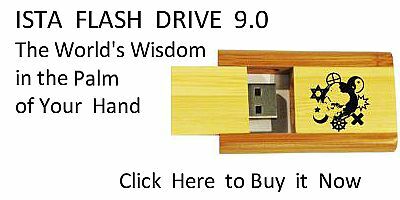 were historical disasters, or that they retarded the general advancement of the human race. In time the barbarians became civilized and fused with the peoples whom they conquered. They introduced, too, into communities which had grown stagnant and weakly, a fresh and invigorating atmosphere that acted as a stimulant in every sphere of human activity. The Kassite, for instance, was a unifying and therefore a strengthening influence in Babylonia. He shook off the manacles of the past which bound the Sumerian and the Akkadian alike to traditional lines of policy based on unforgotten ancient rivalries. His concern was chiefly with the future. The nomads with their experience of desert wandering promoted trade, and the revival of trade inaugurated new eras of prosperity in ancient centres of culture, and brought them into closer touch than ever before with one another. The rise of Greece was due to the blending of the Achæans and other pastoral fighting folks with the indigenous Pelasgians. Into the early States which fostered the elements of ancient Mykenæan civilization, poured the cultural influences of the East through Asia Minor and Phoenicia and from the Egyptian coast. The conquerors from the steppes meanwhile contributed their genius for organization, their simple and frugal habits of life, and their sterling virtues; they left a deep impress on the moral, physical, and intellectual life of Greece. 377:1 Article "Celts" in Encyclopædia Britannica, eleventh ed. 377:2 The Wanderings of Peoples, p.41. 378:1 Crete, the Forerunner of Greece, p. 146. 379:1 "Have I not brought up Israel out of the land of Egypt and the Philistines from Caphtor (Crete)?" Amos, viii, 7. 380:1 A History of Civilization in Palestine, p. 58. 387:2 A History of Civilisation in Palestine, p. 54. 388:1 1 Kings, iii, i. 389:1 1 Kings, v, 1-12. 389:2 Ibid., vii, 14 et seq. 390:1 Indian Myth and Legend, pp. 83-4.